Well, I am definitely not a pedigree matching expert, and if the question relates to a specific mare then that involves a lot of different aspects like other influences in the pedigree, what type of mare she is physically and in temperament, and the attributes of her family, etc. I’m not sure that I’ve got my head around the question, without actually seeing the pedigree set out. So I’ll just put down a few thoughts that keep it at a very general level i.e. what overall is Cam Fella adding to the mix, and what sort of crosses seem to bring out the best of his contribution? In my very humble opinion, any pedigree with multiple doses of Cam Fella needs to keep getting speed inputs, at each generation. At 3 x 3 cross to Cam Fella, that is a lot of tough, courageous Cam Fella close up in the pedigree. Proven speed lines (like Direct Scooter/In The Pocket) or bloodlines that have injected speed when crossed with Cam Fella are what I would keep looking for. I am presuming he would mainly be in 3×3 pedigrees through the male lines i.e. via his siring sons rather than as a damsire himself (which would be rare in this part of the world). So the dam would be a daughter of Armbro Operative, Presidential Ball, Fake Left etc, and on the male line it would be a sire who is the grandson of Cam Fella, perhaps Bettor’s Delight, Blissful Hall, DM Dilinger etc. That would get progeny with a 3 x 3 to Cam Fella. And then presumably it is a filly/mare that might be bred on from? That’s a pedigree scenario which would be a lot more common in Australia than in New Zealand (see below for a recap on the different Cam Fella histories in each country), so again my knowledge is quite limited and my suggestions of a tentative and general nature. What leaps out at me, looking at the pedigrees of many of the successful sons and grandsons of Cam Fella in Australia, is the presence of Albatross, Big Towner and Shadow Wave in the maternal lines. If you are looking for suitable grandams in potential sires, there are many that would offer the proven reputation of speed you need plus a dollop of those bloodlines. Doubling up on this blood is great – Albatross, Big Towner and Shadow Wave seem to thrive on multiple crosses of themselves and their own bloodlines. Art Major is an obvious sire who fits the bill in his maternal lines, Major In Art is another, Mach Three and Grinfromeartoear offer Shadow Wave. There will be much more choice in Australia of sires with these bloodlines. Australia has a very different history of Cam Fella sires than New Zealand. In the mid 1990s in New Zealand we had three sons of Cam Fella standing as sires: Cameleon, Camtastic and Cam’s Trickster (who is a full brother to Cam’s Card Shark). None of them made any lasting impression, except amongst breeders and trainers that Cam Fella line horses didn’t leave speed and you have to wait for their strength to show too. Of course there were exceptions, but not many. Thus it has been a hard act for any Cam Fella sons to follow. In the early 2000s we got Presidential Ball, and we did have access to Armbro Operative in Australia sometimes. And both of these sires managed to shake off the Cam Fella association (I think it helped that they were named something other than Cam!) and leave horses that could run early as well as develop with age. Therefore we have far more Presidential Ball and Armbro Operative mares being retained to breed from. Later of course we have had Bettor’s Delight, as son of Cam’s Card Shark, and Lismara (still trying to gain a foothold), and the popular Washington VC, son of Presidential Ball. But Cam Fella’s line has had few representatives in New Zealand. In Australia it was a different story, with numbers of siring sons of Cam Fella proving popular ( Aces and Sevens, Fake Left, Cambest, Armbro Operative and Presidential Ball) and a much larger number of grandsons of Cam Fella taking part as well – Northern Luck, Brioso Hanover, Riverboat King, Blissful Hall, and others. Now there are great-grandsons of Cam Fella coming into the picture like Kenneth J (son of Bettor’s Delight).Camelot Hall etc. Cam Fella was an outstanding performer and crowds loved his courage and tenacity. But his own maternal line was not outstanding, in fact it was very weak. Cam Fella has left a siring legacy that is getting better with time, rather like many of the Cam Fella line progeny. Anyone else got thoughts on this? I’ve been following the interesting discussion on Race Cafe forum about the ‘freakish’ trotter Googoo Gaagaa who is from a moderately bred trotting family by a pacing stallion who was an okay racehorse but not a commercial sire. Cross-breeding strikes us as unusual today, but it was common not all that long ago in the days when the two specialised gaits were still being developed, and even more recently some good families have arisen from cross breeding. Tar Heel, who is so common in our New Zealand breeding pool via In The Pocket and Holmes Hanover, has a trotting-bred dam (Leta Long who paced) and his damsire is the hugely influential and big hearted Volomite (who left about 50/50 pacing and trotting progeny). 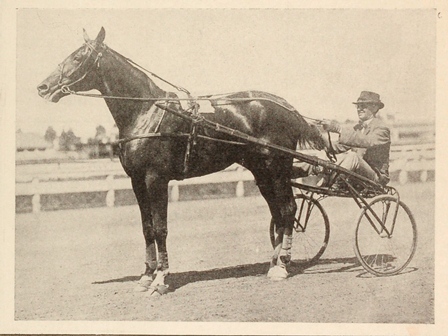 Direct Scooter, whose sire line is becoming very influential in modern breeding, descends from Volomite and has a trotting damsire. So In The Pocket (Direct Scooter-Leta Long-Tar Heel) has great trotting blood quite close up in a number of directions. And that puts it well and truly into many of our top family bloodlines on the maternal and paternal lines. The In The Pocket mare I breed from, Zenterfold, also has a trotting-bred grandam (Now And Zen whose sire was Chiola Hanover). The Zenover/Zenith family has left both pacing and trotting branches, and some of its descendant mares (like Now And Zen) can be bred to and produce both gaits. Some people have pointed to that trotting blood in Zenterfold’s pedigree as a possible ‘weak point’ in the mare’s genetic structure but I totally disagree. It is the quality of the genes that count. It is interesting that when Zenover and her daughter Now and Zen were crossed with pacing sire New York Motoring, the result seem to have been the most successful branches of the family – Interchange from Zenover, and Zenola Star from Now And Zen. 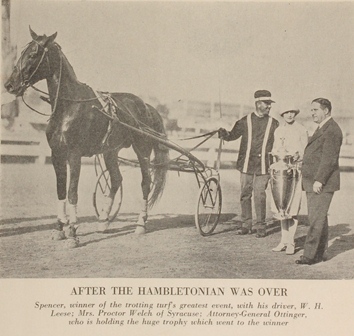 So although the concept of crossing a trotting mare to a pacing sire comes across at first glance as a bit of a gamble, it is a path well trod in the not-so-distant past. I’ve finally got around to posting up the article I wrote prior to the 2012 New Zealand yearling sales in which I looked at damsire and grandamsire trends over the past 10 or more years. The article was originally published in Breeding Matters, the magazine of NZ Standardbred Breeders Assn. It is published as a page rather than a blog, so you can find it at the top of my home page or via this link.